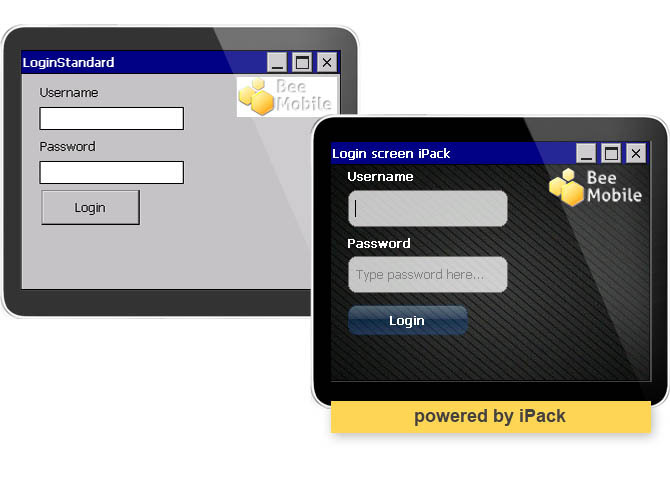 This page contains a visual comparison of STANDARD CONTROLS and BEE MOBILE IPACK CONTROLS. Each example has a short description, list of used controls and list of advantages. If you have any questions don’t hesitate to contact us. Login screen is a lot of times the enter page of your application. And first sight is really very important! You can create modern and attractive login screen with our controls which are highly customizable and offers you variety in your developing. User often chooses an item from some list. 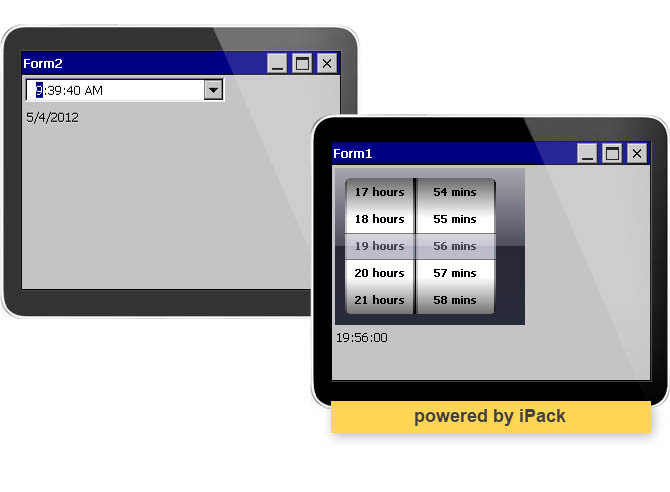 Bee Mobile ComboBox is suitable for displaying a list of items yet saving precious space on a small display of a Windows CE device. 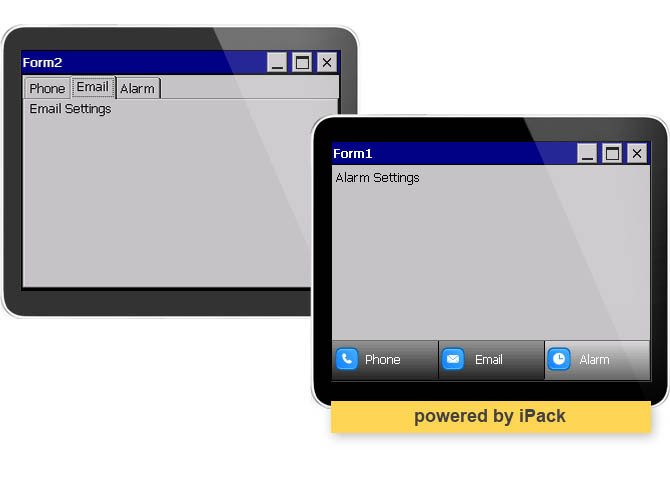 It has the all functionality like Standard ComboBox, but you can customize it as you want. If user sees cylinders, he knows that it is possible to rotate them. This is the main feature of Bee Mobile DatePicker. It is intuitive for users and it looks also nice. High customization of iWheel offers to use it in different ways. 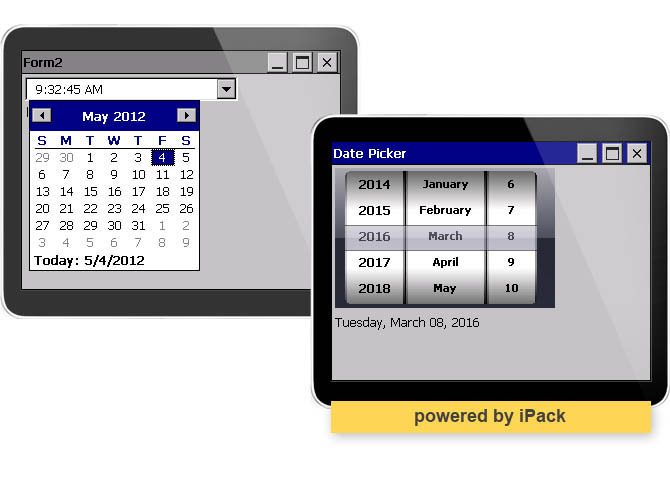 One of them is TimePicker, which gives your application not only modern and attractive look but it is also easy to use and finger friendly. Stylish control that offers numerous opportunities to make it exactly like you want. An useful feature is an auto-close functionality which automatically closes the MessageBox after a specified time has elapsed. MessageBox then behaves as if the user pressed the default button. 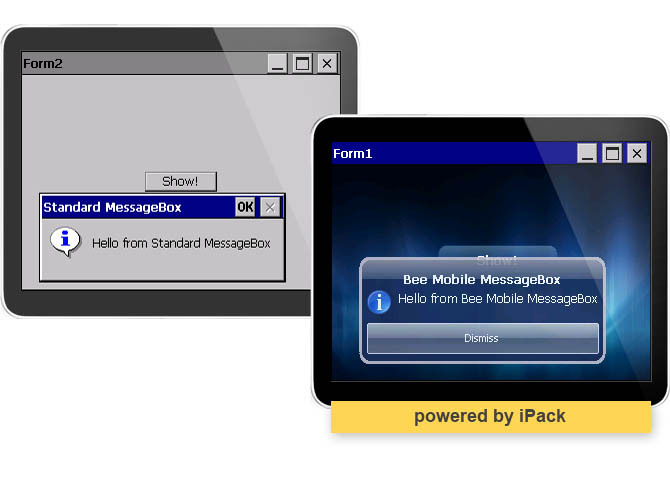 In Bee Mobile MessageBox you can use more buttons with own text, which is not possible in standard control. PNG picture in the button and round corners provide new visual experience. You can choose from two pre-defined color themes (black and blue) or you can create your own one. You can also highlight specified days (holidays) and assign appointments to the calendar. MonthCalendar will visualize the beginning and end of appointments. 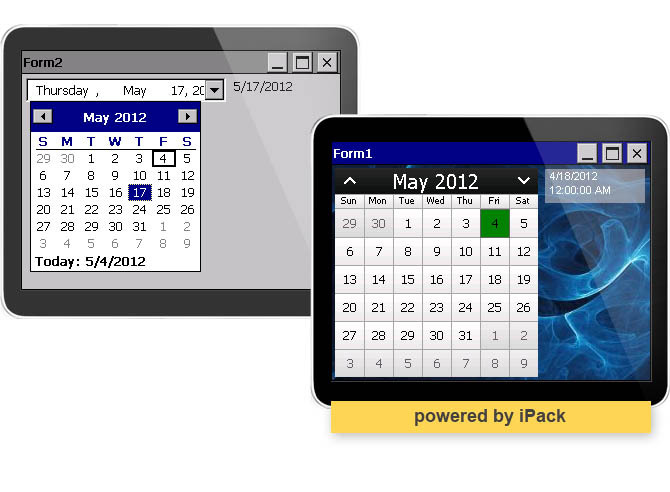 But the main feature is that MontCalendar is really finger friendly! Important part of your application which offers good functionality e.g., you can create a filter to display only files of specified type and also interesting look including attractive visual effects. People generally hate waiting. And it is worse if they don’t know why they are waiting. BeeMobile ProsgressBar contains attractive visual effects and settings. And also waiting can be pleasant using this control! 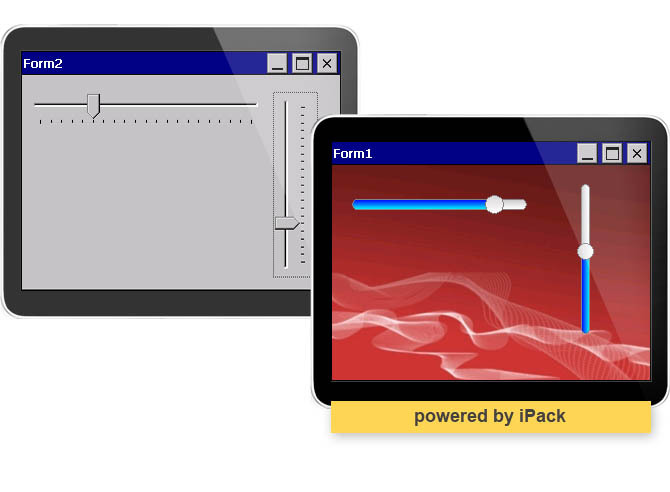 The most interesting part is a visual part of this control which is highly customizable. This control is totally transparent so borders of this control can be invisible and then you can see only the text. Shadow text is also usable. It disappears when you click to write a text. 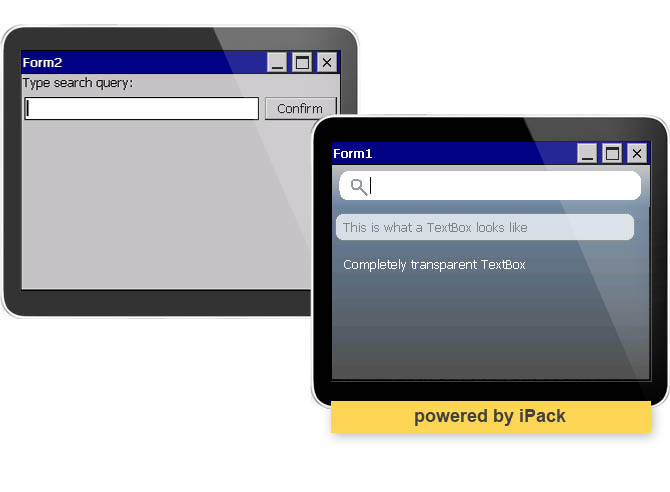 There are also some more functionality features, e.g., SearchBox contains a clear button which clears the input text immediately and a magnifier glass button used to perform the action. Bee Mobile TabControls allows developer to set the size of tabs, put a custom image or an icon on the tab or apply gradient-fills to the tab with your own custom colors. This control is then more finger friendly than standard control. 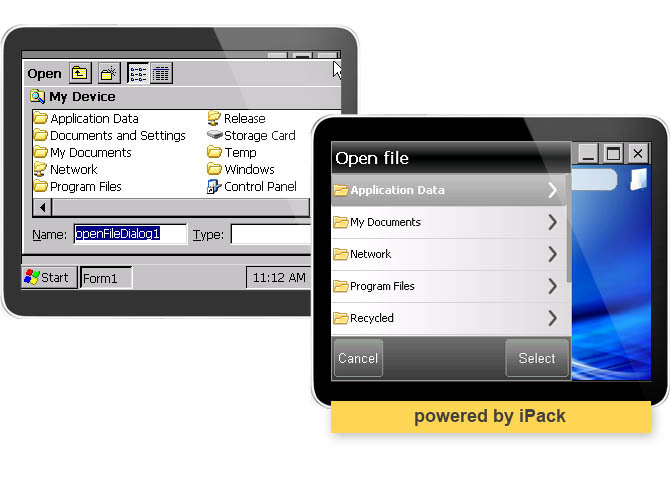 You can make your application more attractive using TPanelVista. Let your panel beautifully blend background with the background underneath it. Additional feature is a possibility to show borders of this panel and set a transparency. With its transparency feature it will beautifully blend with the background of your form. TrackBar body and track bar thumb is painted using gradient-fill which gives it more realistic and appealing look. The users will enjoy moving track bar around as it is absolutely finger friendly. 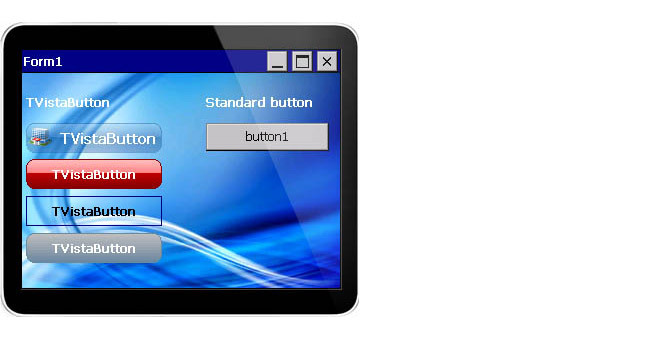 TRadioButton allows you to display transparent PNG image, play wave file upon click or vibrate the device upon click. TCheckBox is really highly customizable. 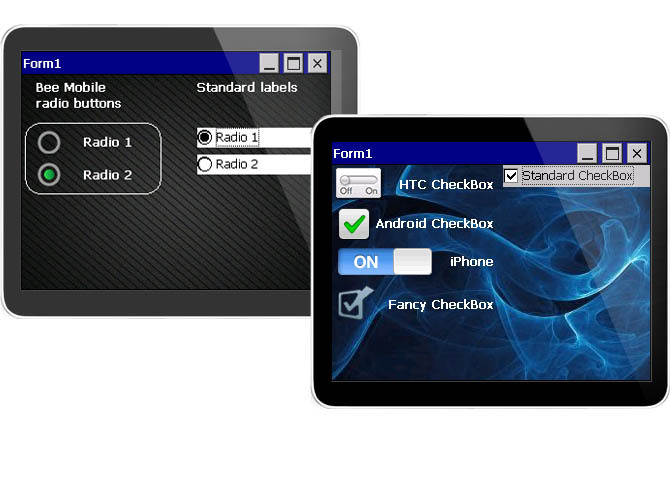 With TCheckBoxes your design possibilities are endless. You can even paint your own image and use it as a CheckBox. 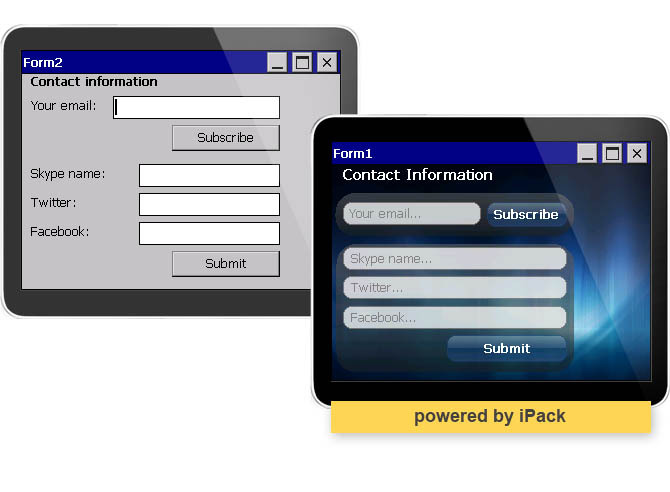 You can also use an image as a background of your form and put a TCheckBox over it. Gives your application attractive and modern look. TVistaButton has a lot of advantages, e.g. semi-transparent gradient-filled button, a PNG image with transparency, combination of an image with the text. TVistaButton can also vibrate upon click or play a wave file. It can use different colors when it is disabled, enabled, pressed, out of focus or in focus.